Without the structure of the school routine, summer can seem very long for you and your kids. Luckily, the weather allows for plenty of activities to enjoy outdoors. This summer, turn off the T.V. and make some memories. Summer is the season for berry festivals, berry picking and homemade jam. 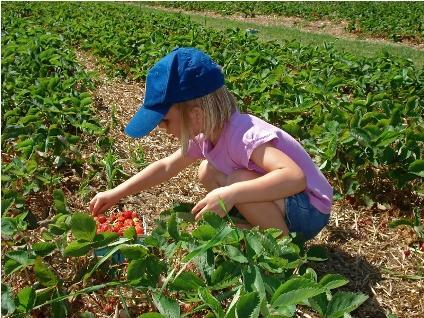 If you're itching for something to do that's a little out of the ordinary, get your basket and head out to a local berry festival or pick-your-own berry farm. After you've stuffed your wares full of berries, come back home and make some homemade jam! Call the farm you want to go to, and make sure there's something to harvest. Offerings vary by month and can be affected drastically by the weather. Pack smart. Bring a bag for carrying your wares, snacks, drinks, and baby wipes. Wide-brimmed hats and sun screen are musts. Also, wear clothing that you do not mind getting dirty. Chances are good that you will not come out of the berry patch unstained. Bring your own containers if the farm will allow it. Making homemade jam is a great activity to do with several generations. While the kids probably shouldn't boil the fruit, they are sure to get into the mashing and preparing the fruit. For a super simple homemade jam recipe, pick up pectin at your local grocery store. Since pectin is a key ingredient in jam, there is always a recipe for easy-to-make jam on the back. Grab some cups, containers and other things to mold sand, and create a sandcastle. It's a great activity to unleash creativity, as well as encourage cooperation among your group. 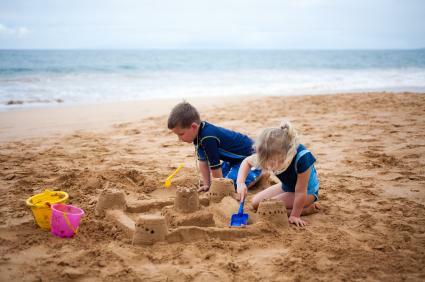 To make a great, relatively long-lasting structure, use a ratio of eight parts dry sand to one part water. This mixture creates the most cohesive sand to use for your sandcastle. For those enthusiasts in your family, check out Sandcastle Central before you head to the beach. The site has a store, where you can purchase tools of really great sandcastle designs, as well as a listing of sandcastle festivals, tips and tricks from professionals and other goodies that your crew may enjoy. Does your beach have tidal pools? If so, this is a great place to find some wildlife. Everything from small fish to crustaceans are likely to call this unique habitat home. If you're going to a state beach, call the park rangers and ask what you might find. They'll be able to tell you if it's the season to spot seals, what fish you might see, and where else to look for animals on the beach. Don't forget to look up. While seagulls abound at just about any beach, there are a variety of other birds that call the beach home. 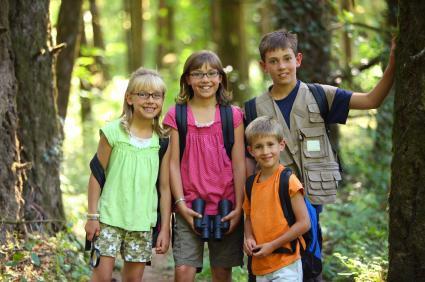 Ask your kids to note differences between the birds at the beach and the ones in the backyard. Beach Shadow Box - Purchase a thick frame from a craft store that can be used as a shadow box. (Some stores even sell them labelled as "shadow boxes.") Have your kids arrange a few items from your collection in the frame. It can be one large shell, several smaller ones, or a mixture of shells and other beach debris. When your kids pass by that hanging, they will have memories of a great day. Time Capsule - For this easy craft, bring home some sand and purchase a clear glass jar. Have your kids put a few of their beach trinkets in the jar. Some kids enjoy using window markers to mark the jar, or you can leave it blank for a classy look. Shell Wreath - This is a craft that is ideal for older kids, or as a craft you do together with your little ones. Using a wooden frame and a hot glue gun, artfully arrange the shells that you've collected and attach them to the frame. Be careful to evenly distribute the weight so that the frame can sit or hang properly without toppling over. Few things in life are as relaxing as sitting by a calm lake waiting for a bite. Whether fishing is an all-summer-long activity for the entire family, or something you do once a year, kids can find enjoyment in the simple sport. Not sure what to do or where to do it? Make sure you check out TakeMeFishing.org, a website dedicated to promoting fishing for families. Make the most of your fishing trip by incorporating a few different activities to keep boredom at bay while you wait for that first bite. Fishing is a great activity in and of itself. However, it is also a great time to observe wildlife. Pack a small backpack that includes binoculars, a camera, and a sketchbook. Bring along a few field guides for your area. As you're waiting for your first big bite, talk with your kids about what you see. It might seem odd to consider a coloring book as an activity to bring along while you're fishing. 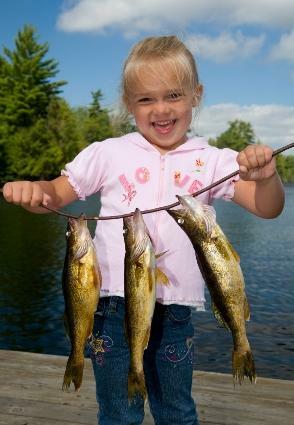 However, kids will enjoy fishing more if they understand what's going on. That's where the U.S. Fish and Wildlife Service's free printable coloring book comes in. The coloring book covers a variety of habitats, fish, and wildlife. It is perfect for teaching little ones about what's going on around them. Camping is a great way to encourage kids to get away from the television and electronics for a little while, and spend some quality time with the family. Learn about stars, eat campout food, and just enjoy time spent together in your tent. While you can certainly set up your tent in your backyard, sleep under the stars, and call it a night, the National Wildlife Federation sponsors what they call The Great American Backyard Campout. Typically held in June, families can choose to register (it's free), and have the opportunity to raise funds, participate in a group campout if they want, and post their adventures online for families and friends. Registering is free, and provides a variety of fun tools to get your out on your first trip. While the decision to campout is easy, planning what to do might not be. 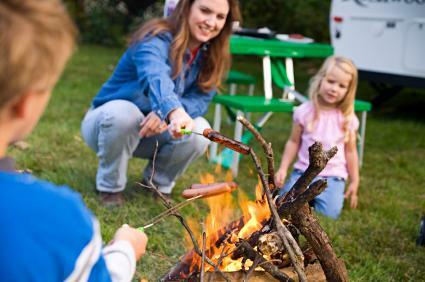 The following activities have been kid-tested to provide lots of entertainment on your campout experience. The word campout is practically synonymous with great food. Still, you can go beyond the roasted hot dogs, s'mores, and kabobs that your kids have come to expect and serve a gourmet picnic feast that is so simple to prepare, your kids can help! Pigs in a Blanket - Use crescent dough and wrap your hotdogs up. Roast them on a stick over an open fire (after all, that is half the fun), and the dough will cook nicely over the hotdog. Purchase ketchup and mustard packets for easy cleanup. S'mores Bar - Why not try something unique with your s'mores this year? Purchase flavored marshmallows, use shortbread cookies instead of graham crackers, or Reese's Peanut Butter Cups in lieu of plain chocolate. Offer bowls of coconut, chopped nuts, toffee bits, or jelly to help round out what is sure to be a favorite dessert. Doughnuts - To make this, you'll need a cast iron pot, refrigerated biscuit dough (one biscuit makes two doughnuts), tongs, and oil. Over a hot fire, place your pot, half-way full of oil, over the fire, and heat. Break each biscuit in half and dip into the oil. The biscuits will be golden brown. Offer bowls of powdered sugar or cinnamon sugar for dipping. Veggie Kabobs - Just because you're camping, it doesn't mean that you need to shirk your duty to get your kids to eat vegetables. Bring your kids' favorite vegetables, kabob skewers (you may have to whittle sticks to get something long enough), and seasoning salt. Lightly salt the vegetables, and roast over an open fire. 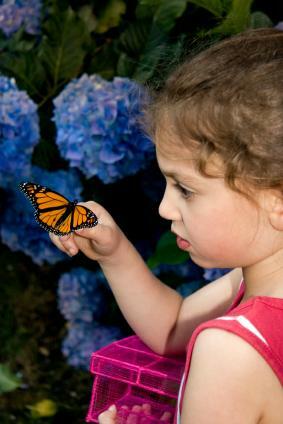 Encourage your kids to keep their eyes out for interesting critters. It's a great opportunity to teach them good stewardship as well, by releasing any bugs that you do catch. Wishing on a Star - A great little guidebook that is perfect for kids. It goes through the stories of all the major constellations, and then includes short activities in addition to tips on how to spot the constellation in the sky. Before you head outside, get on your computer and pay a visit to Astronomy for Kids. They have a free "sky tonight" tool, so you can see what it is that you should be able to observe in the sky that night. A similar idea for more advanced stargazers is Heavens Above, which lets you put in your location to get a detailed report on what you can find. Follow Exploratorium Magazine's directions for making your own telescope. Do it before you leave, or during one of the days of your camping trip for a better stargazing experience. While the directions are easy, the assembly will require some adult help. If your kids see reading as a drudgery, use this summer to change their thinking. While sun might abound during the summer, giving way to lots of outdoor fun, there are sure to be at least a few rainy days. To help inspire a love of reading in your kids, use the summer to make regular stops at the library and pick a great read aloud that is fun for all your kids. Find time for some of these other summer reading activities. Do your kids love to read? 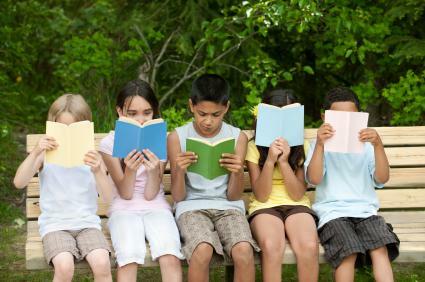 Get kids together and host a summer book club. You can focus on a genre, an author, or read whatever the kids want to read. Not only is discussing books with friends a lot of fun, but it can help encourage your kids to read more often during the summer months. If your school publishes a summer reading list, you can invite your kids' friends over to read the books on the list and take the boredom out of reading homework. Serve snacks and lemonade and your summer book club is sure to be a booming success. Barnes & Noble - Each summer, your local Barnes & Noble gives away free books based on how much you read. Six Flags' Read to Succeed - Your K-6th grade child can earn a free ticket to Six Flags for reading six hours. Must complete free registration to be eligible. Have a rainy day where you just can't go outside? Free (or cheap) bowling and movies are all over the place during the summer; you just have to know where to look. Enjoying bowling this summer is really easy with Kids Bowl Free. Register at the site and use the search tool to find a participating bowling alley near you. Kids within the age limit can register to receive two free games per day at a particpating bowling alley (and some schools do it too.) There are some restrictions, so make sure you read the fine print carefully. Check out a movie at your local theatre. The national theatres offer summer movie series where kids (and sometimes their parents) can get reduced or almost-free tickets for kid-friendly viewing. However, don't be shy about calling your local movie theatre as well. They may well offer discounted tickets for the summer for select shows to keep up with the competition. 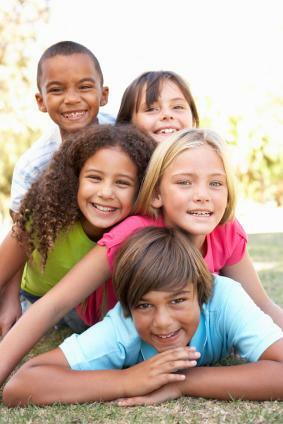 AMC Movie Camp - Kid friendly movies at a reduced price plus a KidsPack (a snack pack) every Wednesday in the summer. CineMark's Summer Movie Clubhouse - CineMark which includes the Century Theaters group, offers select kids' movies for a $1, or if you purchase the tickets in advance, 10 movies for $5. Cool off by playing in the water. You can always go to the town pool, take swimming lessons, or head to the beach, but if those options are too far away, don't let that stop you and your kids from cooling off from the scorching heat in your backyard. PVC pipe, ingenuity, and some handyman skills are all you need to make a little sprinkler fun that your kids can drive through on their ride-on toys. Cut two pipes in half. This will serve as your base. Assemble the sides by attaching two of your remaining poles into the PVC Tee from your stand. Use the elbows at the top, and attach your top bar. Place caps on three of the ends on your base. Use the fourth end to attach your hose, using the threaded hose connection. When you turn the water on, it will come out the holes and voila - you have a backyard sprinkler system designed for fun. Let kids run through it, ride through it, or build it over your water slide! To make your wands, use two straws and a string. Slide the straws onto the string and tie a tight knot. The straws serve as handles while the string lets you build bigger and better bubbles. You can also use a hula hoop as a bubble wand. Looking to squeeze in a little education this summer? Make a point to visit your local aquarium and zoo. Chances are very good that both spots have educational programs and happenings to help teach future zoologists and marine biologists about conservation and animals. While you're at the zoo and aquarium, keep the following tips in mind for a perfect visit. Don't forget the sunscreen! People tend to think because they are in and out doors that sunscreen isn't needed. But nothing ruins a day faster than a painful sunburn. Give kids cameras. It is a great opportunity to practice their photography skills, but it will also help them be more observant as they look for that great shot. Pack snacks and lots of water. Bring it in an umbrella stroller if you have one. It's easier to push a load than to pull it or carry it. If your zoo or aquarium is huge, buy a membership. That way on each visit, you can plan to see certain animals. Pack a dry erase map (you can print one here, and then laminate it.) As you see animals, mark a spot on your map for their countries of origin. Bring the binoculars. Many zoos try to preserve natural habitats as much as possible. 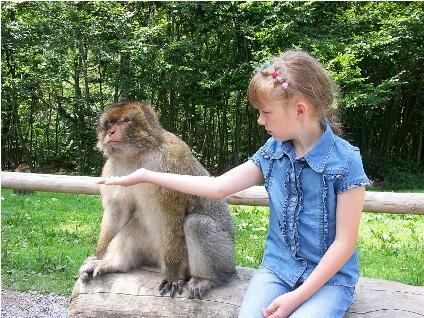 This gives kids the opportunity to see animals that they might not find in their neighborhoods. Take your kids this summer and spend some time giving back to the community. There are a variety of organizations that will help you find a good match for your family, or you can work to raise money for your own favorite cause. Youth Volunteer Corps of America - This organization is run by local chapters, so you'll have to use the search on the national site to find chapters near you. However, opportunities abound, and although the name implies that only youth are welcome, families are allowed to volunteer in most places. Patch.com - Patch is a local online newspaper. Each town has its own Patch, and each patch features a section for finding volunteers. If you don't have any time to travel, you can find something here in your own backyard. Not everything listed here is appropriate for families, though, so you'll have to do some sifting to figure out what will work with your kids. VolunteerMatch.org - This is a database of organizations that need volunteers. You have to specifiy that you want something that kids can do, but due to the size of the database, you are sure to find something in your area that fits the bill. Alex's Lemonade Stand has become synonymous with summer fundraising. 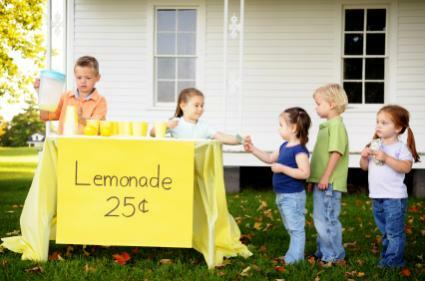 If you have no time to travel, but are willing to set up a lemonade stand in your front yard, you can raise money to donate to a charity of your choice. The site gives you tips on getting started, lemonade recipes, and inspiration to keep you going. Journey North is an ongoing project that tracks migration and wildlife through the world. To get involved, you only have to register on their site and from there, you can get directions on a variety of projects based on your needs. They even offer an online mystery class where students have to track data and based on that data, find the mystery location. Whether you want to plant tulips or watch the migration of whooping cranes, Journey North is a great life science resource. Watching fireflies is magical. Glowing bursts of light that illuminate a backyard hold an appeal for big kids and little kids alike. 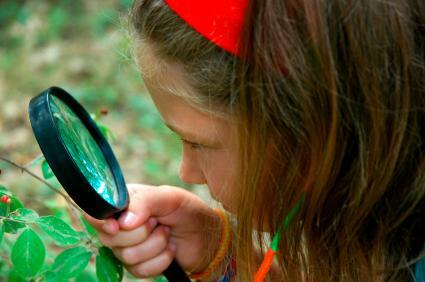 With Project Firefly Watch, you register on the site, fill out a description of your habitat, and then record your observations. Even if you don't see any fireflies, you still have to record the information as that is helpful for the scientists as well. SciStarter isn't a project in and of itself, but instead lists hundreds of citizen science projects that you and your kids can participate in. You choose a location where you want to do your activity (ie at school, at the beach, etc.) and then the type of subject you'd like to study, and SciStarter gives you a list of websites of citizen science projects that meet your criteria. Gardening is a summer-long activity that makes for both fun memories and a good learning experience. If you've never done a garden before, make sure to check out KidsGardening. It is a website packed with tips and ideas and they also have a store that sells tools that are really useful to children in particular. Not sure what kind of gardening project to pick? Here are a few ideas to get you started. Obtain a 32-gallon garbage can and drill several holes into the bottom. Fill a the garbage can with about 10-inches of compost. As potatoes sprout, keep filling the garbage can with more compost - about 8 to 10-inches each time. Continue to do this throughout the summer. When you're ready to harvest, dump the whole thing out on the ground and let the kids dig for the potato treasures. For this garden, you'll want to plant green peppers, onions, garlic, and tomatoes. Have kids help you with as much of the gardening as possible. This includes weeding, planting, and watering. 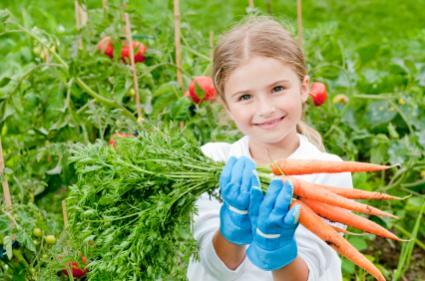 You will find that when kids have a hand in growing their own food, they are much more likely to eat it. Teach your kids to be quiet on the trail. They are more likely to spot wildlife if they are quieter while walking. Bring a small first aid kit with you while you hike. Tree roots can easily cause someone to trip, and hiking back to the front of the trail with blood dripping down your leg is not fun. You probably wouldn't forget snacks and water on the trail, but make sure and remember a plastic bag for trash as well so that you are taking everything in and out with you. See if there are any geocaches or letterboxes on your trail. Summer is a great time to play outdoors, but remember to offer plenty of shade, water, and sunscreen and bring the games indoors if the weather becomes too hot. Indoors or out, these fun summer activities are excellent ways to pass the time and make memories that will have your children longing for the next summer vacation before the current one has come to an end.